The 9 holes of our Putt Putt Miniature Golf Rental will take you mentally back to your favorite Boardwalk or Theme Park where you played Putt Putt Miniature Golf with all those amazing obstacles and could never get the hole on one on hole 7. 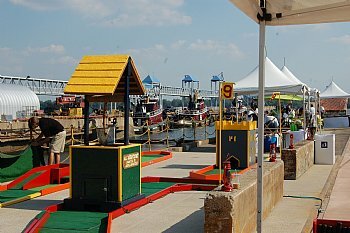 The obstacles of each hole of our 9 hole Putt Putt Miniature Golf Rental Course have been handcrafted making WOW Entertainment's Putt Putt Miniature Golf Rental one of the only true authentic Putt Putt Miniature Golf Course in the mid Atlantic region. 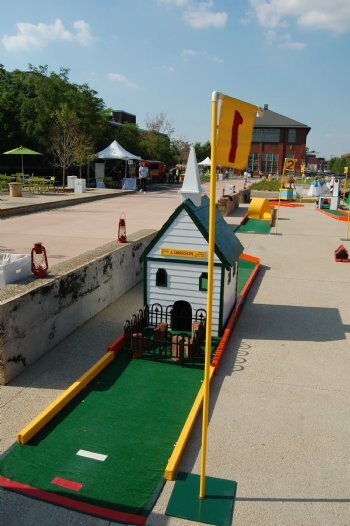 This is not your ordinary Putt Putt Miniature Golf Rental. The Fountain Hole features a working water fountain in its question mark configuration making it one of the more challenging holes of the Putt Putt Miniature Golf Rental. The Windmill Hole features long blades white rotate periodically blocking the passage of the ball to the green. Timing is the key on this hole. The Castle Hole is reminiscent of Old England and is one of the most imposing sights on the Putt Putt Miniature Golf course. 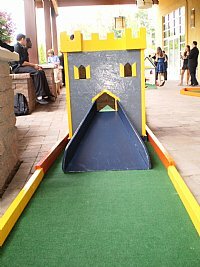 Players must use the right amount of speed to hit the ball up a ramp and through the castle to get to the green. The loudest hole on the Putt Putt Miniature Golf Course is the Railroad. 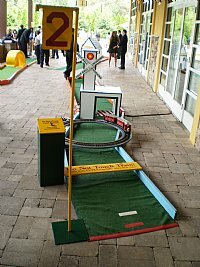 A moving model train with flashing lights that makes an odd bend causes many distractions for the players on this hole. The Church hole is the quietest hold on the course. However, like all local country churches there are numerous tombstones in the graveyard which present challenging shots to Putt Putt golfers. What is a Putt Putt Miniature Golf Course without a Wishing Well Hole? This hole has severe dog-left and is very difficult to get a hole in one. All coins that are collected during the company picnic can be donated to the company's choice. 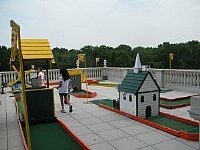 Loop De Loop is one of the more famous holes on a Putt Putt Miniature Golf Course. Ours is no exception and a firm stroke and excellent eye will be necessary to score well on this hole. The Old Mill Hole is based on the local rivers of years past powering the wheels at the Old Mill to grind stones. Players on this hole have to use the same mill wheel to get their ball to the green. The Froggy Hole is the aquatic hole on our Putt Putt Miniature Golf Course. The Froggy oversees this hole that has multiple levels and a variety of strange angles. Guests at company picnic party or corporate team building event receive their clubs & different color golf balls at the Pro Shop which is placed prior to the first hole on the Putt Putt Miniature Golf Course. When the Putt Putt Miniature Golf Course Rental is fully occupied 36 guests will be on the course. Thus, for large company picnic parties, corporate team building events or golf party rentals that all have a large guest count this is an excellent choice. Holes can be configured in different ways depending on the space provided. Minimum space requirement for all 9 holes is 2,500 square feet. If there is limited or additional space, 3 hole, 6 hole, and 18 hole pricing is available. 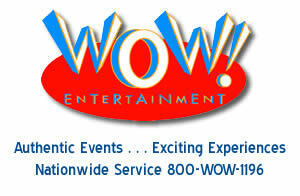 Contact an event specialist at 800-WOW-1196 to learn event more about this truly authentic Putt Putt Miniature Golf Course for your next golf party rental, company picnic or corporate team building event.